Want A Luxury Kitchen? 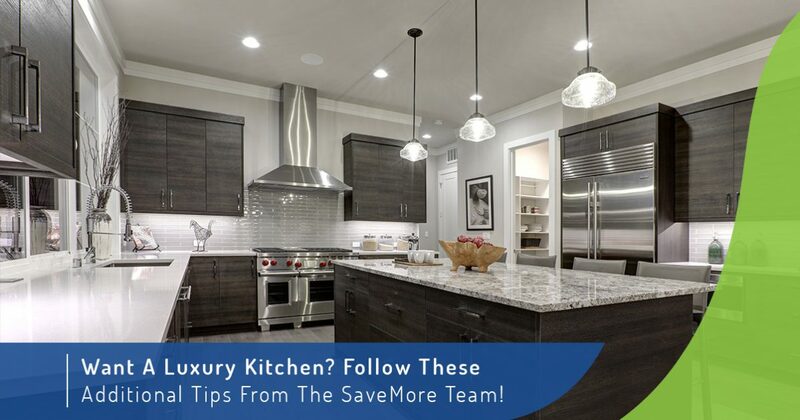 Follow These Additional Tips From The SaveMore Team! Today’s homeowners are faced with an endless variety of home remodeling options to achieve a personalized look that matches their unique style and budget. Procuring the right materials at the right price will help to deliver a high-quality finish that is sure to deliver comfort and satisfaction on a daily basis. Many people benefit from proper planning and execution to deliver the most cost-effective results in dynamic spaces like the kitchen, delivering far more value for the same price. If you’re ready to upgrade your British Columbia home with luxury, SaveMore Plumbing & Lighting is here and ready to help. Our lighting and plumbing showrooms in Surrey and Vancouver are open six days a week to deliver expert assistance to homeowners and builders in need of high-end remodeling solutions. As your trusted lighting and plumbing supply team, we’re happy to provide industry-leading advice to match our luxurious fixtures. Today, we’ll conclude our two-part series discussing ways to enhance the luxury of your kitchen without going overboard or breaking the bank. Read on to learn more, and be sure to stop by our kitchen and bath centers for superior service! The level of luxury you’re hoping to achieve in your kitchen space can be more easily achieved when you invest in professional cooking appliances. Chef stoves and ranges can make a dramatic impact in any kitchen design, and their higher price tags will easily be offset by the years of quality use. Many homeowners across BC make the mistake of focusing on their kitchen counters, islands, and flooring more often than the appliances, which can be a big design no-no. Regardless of how beautiful the cabinets and plumbing fixtures are in your home or client’s property, cheap and outdated appliances will often leave the space feeling tacky. SaveMore Plumbing & Lighting is here to deliver the best results to match every design, and will work with you to find the best plumbing supplies and accessories across Vancouver and Surrey to deliver personalized results. Contact us for assistance or stop by one of our plumbing and lighting showrooms to begin! Similarly to your appliances, an outdated flooring system can ruin even the best kitchen designs. It is essential to plan for the walking surface of your kitchen. Homeowners that put this step off until last often face the challenge of trying to match a cohesive kitchen with a surface material that does not seamlessly fit the picture. Plan ahead, and be sure to be mindful whenever you decide to change any big elements in your luxury kitchen remodel. Luxury can be used to describe an array of varying situations, with the true measure of high-end remodeling work residing in the eyes of the beholder. Before you begin your kitchen renovation, we recommend taking into consideration the resale value of your property once the improvements are complete. Many homeowners across British Columbia love where they live, but plan on making the jump to a different house sometime in the future. Your luxury kitchen remodel may provide considerable resale value, but keep in mind that you will need to balance your own personal style with more mainstream designs to ensure the highest bidders are placing an offer on your property. Our lighting and plumbing store strives to deliver quality fixtures that enhance the value of any property, offsetting project costs while increasing daily comfort and enjoyment. Be sure to do your research into what trends tend to pay off the most, and be sure to ask our in-store experts to learn more! Beyond the kitchen lighting included in your renovation plan, high-end plumbing supplies can be used to further enhance the rich beauty of your space. Many homeowners focus on including luxurious faucets and other premium plumbing fixtures, delivering a long-lasting shine for years to come. Instead of purchasing a standard single-bowl sink, you can opt for a copper apron-front sink to stand out and enhance the overall look and feel of the space. High-end faucets are created by dozens of makers in the industry, offering residential and commercial plumbing solutions to match every individual’s goals. SaveMore Plumbing & Lighting is here to serve as your trusted plumbing store in Vancouver and Surrey, delivering high-end outcomes for all of our happy customers. 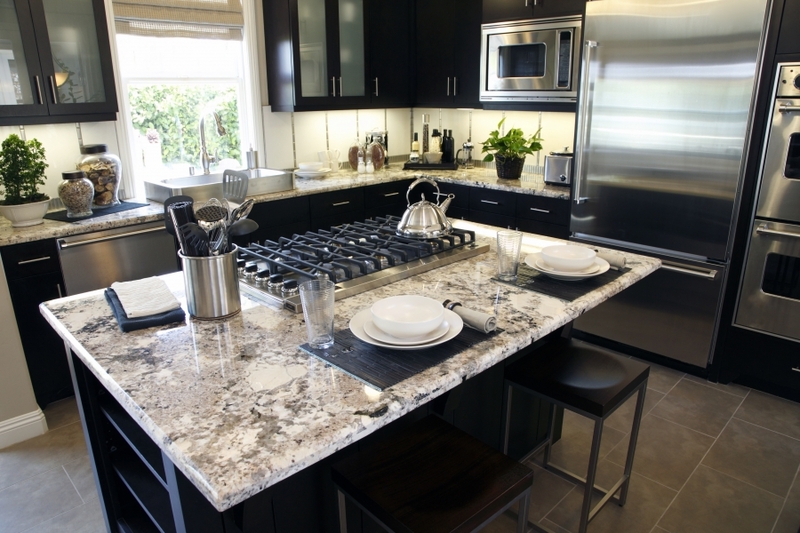 If you’re ready to start your luxury kitchen remodel, be sure to stop by our kitchen and bath center for complete assistance. We know how to help create amazing results for every budget, and are ready to assist you. Contact us today to learn more, or browse online to see some of our top lighting and plumbing fixtures!